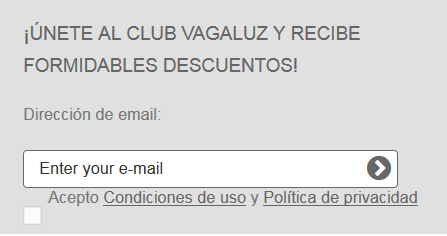 Collect "Vagalitos" from your purchases that you can redeem every week. Enjoy exclusive promotions and special offers. Be the first to find out about new collections.